The MVPR-02 is a low cost, high definition H.264 encoder and decoder. This system is capable of dual channel encoding for resolutions up to 1080i and single channel encoding for resolutions up to 1080p at 60 frames per second. RTMP encode allows for MPEG-DASH transcoding through the Wowza Streaming Engine™. Its compact form factor makes the system easily transportable and ready to use in a variety of applications. 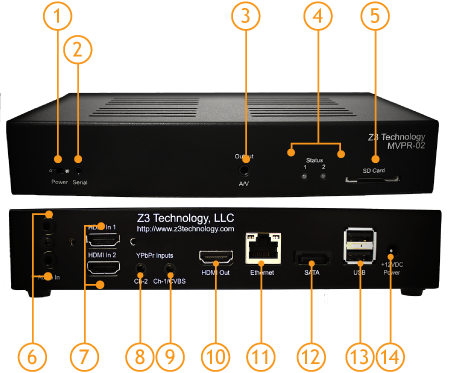 The MVPR-02 provides solutions for applications including: industrial video, digital signage & security, remote monitoring and HD video server. 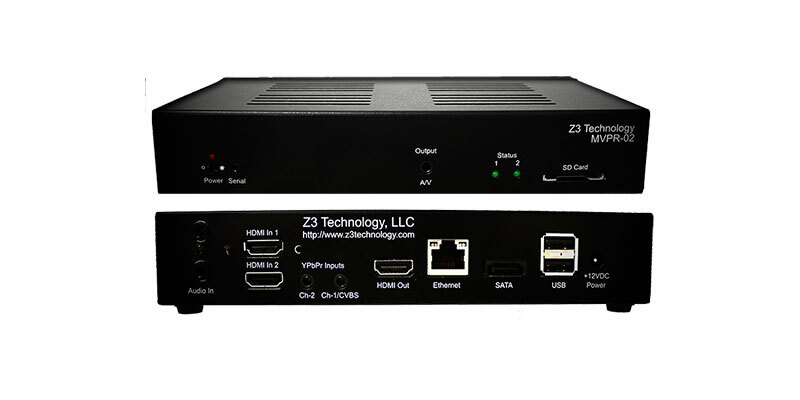 The MVPR-02 is network enabled and software configurable through Z³ Technology’s easy-to-use HTTP-based GUI.